The holiday season is upon us, and this year CanUgan wants to inspire you to give back to those who are in need. Follow us on Facebook, Twitter and Instagram fromDecember 13th to 24th! We’ll be sharing the stories that inspire us, showing you the impact of your donations, and the people who work to make CanUgan’s mission a success with your help. 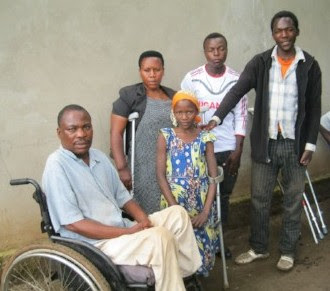 Help us make the holiday special for people living with disabilities in Kasese, Uganda. Every dollar you donate goes directly to the purchase of an assistive device, transforming the recipient’s life. Copyright © 2017 CanUgan Disability Support, All rights reserved.